The idea of the chess board in Alice in Won­derland is said to have come to Lewis Carroll from looking down at Otmoor from the top of Noke Hill: following enclosure, the moor was di­vided by hedges and ditches into fields on a grid pattern quite unlike the casual and haphazard way in which the countryside has typically developed. The story is often told – though some claim it was from Beckley rather than Noke Hill. Does anyone know if there is a written source? I got it from James Griffiths, President of Magdalen College, and his brother Vincent, a former Noke resident, both of them related to the Liddell family whose daughter was the inspiration for Alice. For sure Lorna Doone author R. D. Blackmore based two of his novels on Beckley, where he was a frequent guest at Grove House: Cripps the Carrier was based on an actual Beckley character. Another Grove House guest was Evelyn Waugh who refers to it in his diary. Aldous Huxley brought Beckley Park into Chrome Yellow. Susan Hill, resident of Beckley, incorporated that village and Otmoor generally into The Magic Apple Tree. John Buchan, most famous forThe Thirty Nine Steps, retired to Elsfield Manor and based two books on Otmoor. Robert Graves lived in and refers to Islip in his autobiography Good­bye to All That. I have speculated here before that Shakespeare may have had Otmoor in mind as the moor he contrasts unfavourably in Hamlet with a fair mountain. One who would have been associated with Otmoor but was not, was Swift, author of Gullivers Travels, who sought but failed to get the living of Islip. I have even been told that Noke was the model for Tolkien’s boorish Farmer Giles of Ham – so he cannot possibly have visited us. 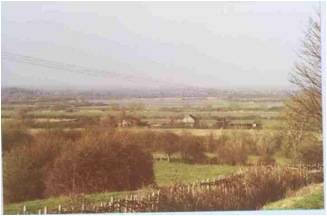 Otmoor was possibly named after a person called Otta and was originally known as Otta’s Fen. However history does not record who Otta was. The oldest map dated 1641 has it as Oat Moor so the origin of the name is still open to speculation. Otmoor is an area of about 4000 acres of fenland fed by the River Ray. The Romans built a road across the moor and it was probably drier then. In fact it may not have been until the 17th century that it became flooded in winter following an earthquake in 1666 that either lowered the moor or increased the height of the outflow of the river Ray. The Moor was partly drained and fenced in the early 19th century leading to riots by local people protesting against the loss of the grazing rights and ability to catch wildfowl for the pot. The draining was never very affective and another attempt was made in 1970, that included electrical pumping stations. Today much of the flood area has been taken over by the Royal Society for the Protection of Birds and the same pumps are being used to pump water back into the area. 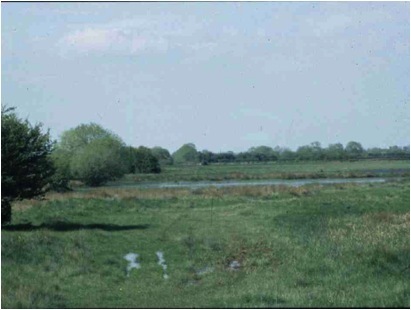 Much of Otmoor was used as an RAF bombing range from about 1932. This resulted in a large area being allowed to return to natural habitat. Much of the area is still owned by the Ministry of Defence as the danger area for the rifle range. It is thanks to the MOD that Otmoor this area is now a Site of Special Scientific Interest (SSSI) with unique wildflowers and bird breeding habitat. Fowl’s Pill at the centre of the Moor is a pond that is fed by flood water only, and has not been polluted by drainage off the surrounding fields, this pond contains a selection of rare pond life. The MOD added to Fowls Pill in 1991 with the formation of shallow scraped known as the New Pill. Careful grazing and water level management has contributed to an increase in breeding birds such as Curlew, Redshank, Snipe and Lapwing. Breeding duck have included: Mallard, Teal, Shoveler, Pochard, Gadwall and Pintail. Red-crested Pochard bred in 1998 with in the late 1980’s a pair of Garganey attempted to breed before their particular pond was filled in by the farmer. This area has now been developed by the RSPB and it is hoped that the Garganey will return. Otmoor also has woodland and scrubland that has hosted interesting birds such as Nightingale, Grasshopper Warbler and Stonechat. 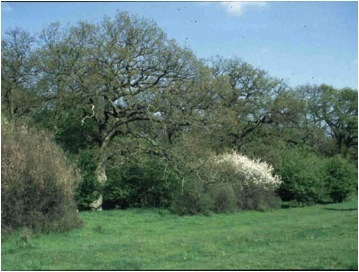 The woodland with the Oak Trees and Blackthorn provides the habitat for the Black Hairstreak Butterfly. Grass Snakes are fairly common and mammals include Munjak and Roe Deer while Fallow Deer stray from nearby woods. Badger, Fox, Grey Squirrel and Hare are also present . Toads, Frogs and Newts have declined in recent years and it is rare to find frogspawn in the Otmoor ditches. In the 1980s Frogspawn was common but is hard to find today outside the RSPB reserve. This is probably due to high level of nitrates washed from surrounding fields. 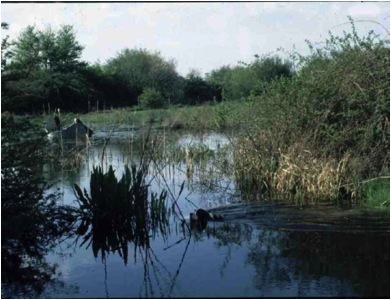 The RSPB reserve has addressed this problem as the water in the reserve is nearly all rain water and the wet areas are protected by the old drainage bunds.